Dr. Hubertus Hoffmann, Founder and President World Security Network Foundation:"People who call out for freedom today- as in Kyrgyzstan, Belarus, Lebanon or Iran - can appeal to the right of resistance against dictators. Human rights are not subject to the disposition of even the most powerful rulers." Do the people in Kyrgyzstan, Belarus, Lebanon or Iran have the right to stand up to the powers of state? Doesn’t the UN, as well as international law, prohibit interference in the “internal affairs of countries” thereby protecting the state from its citizens? Is it therefore in anyway permissible for U.S. President George Bush to call for and support the democratization of totalitarian states? 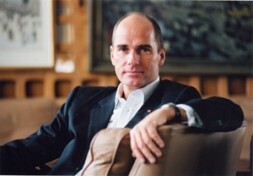 Or is he by doing so acting against valid international law? The right of individuals to resist the decrees of a state derives from a fundamental conviction of humanity that the state, as an organization, is not the highest value or an “end in itself”; rather, that the state and its representatives stand under a mantel of overarching natural rights. The measure of all order is in the end the individual, created by God, not a governmental organization, a ruler, or the prevailing postulation of an ideology. The history of the right of resistance marks the continual, worldwide struggle of oppressed individuals for a humane, social, and governmental structure. As early as the ancient Greek tragedies, the basic concept of a right of resistance was laid out by Sophocles. Antigone, in administering the last rights to her deceased brother, transgressed the prohibition of Kreon, the ruler of Thebes. The moral conventions of a “divine/moral law” forced her to resist the ruler’s prohibition, which she then refused to honor. While the resistance of Antigone was an act deriving from an ethical/moral motivation, a codified duty of collective resistance had long been in existence in Hellas. The “Tyranny Law” of Ilion (ca. 275 BCE) promised fame, honor, and silver to anyone who would kill a tyrant, a leader of an oligarchy, or a politician attempting to overthrow democracy. 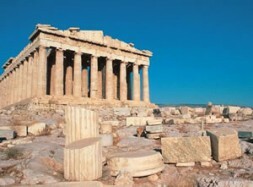 The Acropolis in Athens: The Greek right of resistance against a tyrant was a citizen's obligation. Ancient Greek law, as outlined by Plutarch, Plato, and Aristotle, suggests an inseparable symbiosis with the liberal-democratic thinking of the Greeks. A right of resistance was only then recognized, and considered a citizen’s honorable obligation, when the act of resistance was aimed at a destroyer of democracy, a tyrant, or a despot. Likewise, in ancient Roman thought, defending the freedom of the citizenry was connected to resistance. Individuals are no longer private persons when the freedom of the citizenry is at stake. This postulation of Junius Brutus, ascribed to him by Cicero in his writings on the state, describes the thesis of the Roman school of thought on the right of resistance. The right of resistance against wanton despots, even justifying the murder of a tyrant, is accorded when the tyrant transgresses substantially against the ius naturae, the divine order, or the laws of the res publica. The deposition of the tyrant Tarquinius Superbus, the expulsion of the Plebeians from the city of Rome, and the murder of Julius Caesar were signs of active resistance against oppression and tyranny. The Christian right of resistance derives from the premise that humanity owes God greater obedience than people. A king deprives himself of his governmental authority through his own wrongdoing and as a result his right to rule over others. The notion of a contractual connection of a ruler with a traditional code of law is also found in the writings of Jean Jacques Rousseau. According to Rousseau, the dissolution of the state occurs when the governance of a ruler disregards the law and presumes to take over the powers of the state. At the point where the government takes over the powers of the state, the social contract is broken. All individual citizens are returned, by right, to their natural state of liberty and are no longer obliged to obedience. The Englishman, John Locke, favored a right of resistance as he saw tyranny being the exercise of a power that belongs to no one; the law in itself has ceased to exist. Whoever oversteps the powers bestowed upon him by the law ceases to be a public servant—resistance can be carried out against him. The seal of the state of Virgina carries the inscription: " Thus always to tyrants." The philosophy behind the American war of independence contained significant elements of natural rights thinking and a religious-based right of resistance. 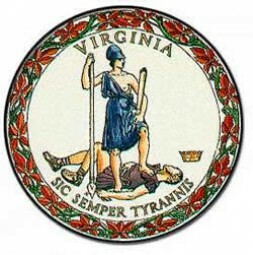 The seal of the state of Virginia shows the Roman goddess Virtus standing over a defeated foe and carries the inscription: sic semper tyrannis (thus always to tyrants). Records of acts of resistance and their justification can be found in almost all epochs and in all cultures worldwide. The right of resistance is derived from the viewpoint of justice, the disregard for heavenly or divine laws, serious injury of the religious sensibilities of a people, and brutal killings by a despot. In this sense, a right of resistance is formed very early on as an emergency measure by tortured and mistreated persons around the globe. The struggle of citizens for political participation and the division of the powers within the state, as well as their control, led to a recognition of enfranchisement and the step-by-step, evolving influence of representative assemblies on the exercise of state powers. In democratic, parliamentary systems of government, with their bottom-to-top decision-making structure and system of shared powers, the right of resistance against a democratically legitimated state seems contradictory. And not only the participants in the Kapp Putsch and their opponents, but also those involved in lynching, in the Rural Population Movement, and in the East-Prussian Farmer’s Movement who fought against foreclosures also appealed to the right of resistance. The Weimar Republic could not permit an unlimited appeal to the right of resistance by individual groups. In a democratic state founded on the rule of law, the struggles of interest groups, the playing out of political or legal arguments, and the protection of the state are channeled and institutionalized. Resistance against decisions of state which were arrived at democratically means resistance against the legitimate will of the majority and must be carried out within the boundaries of the parliamentary opposition and the process of building public opinion. Otherwise, the minority rises to become a dictatorship over the democratically legitimated majority. The unbounded appeal of non-conformists to a right of resistance as a tool to put through their own political agendas threatens to split the democratic order. But even in a highly complex apparatus of state, falling back on the right of resistance can be a necessary last resort of the oppressed. The multi-faceted acts of resistance against the Nazi dictatorship, which culminated in the attempted tyrannicide of July 20, 1944, or the Worker’s Rebellion in the former East Germany of June 17, 1953 prove the degree of actuality and the volatile nature of virulent thought in modern times. The ancient right of resistance is not least a legitimation of securing freedom by force of arms through which a democracy protects its citizens and its form of state against the extortion and threats of tyrants. The theories of resistance throughout human history are, over millennia, marked by incredible correspondence: humanity may not be degraded to a mere object of the functions of state, its dignity is inviolable, and its fundamental human rights are non-negotiable and not subject to the disposition of even the most powerful ruler. Customary, natural, and religious reasons melt into a unified international common law of resistance against tyranny. 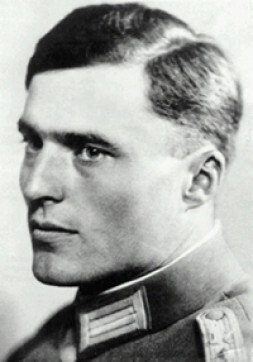 Oberst Graf Stauffenberg tried to kill the German dictator Adolf Hitler with the moral right of resistance as his legitimaton. The power derives from the people. Should it be lost, or in the conviction of the people abused, the people will take back that which belongs to them. At its core, here lies a clear renunciation of all totalitarian ideologies—both of the right and of the left. In them, power derives from a sacrosanct conviction, the faith in an ideology, the dogma of a doctrine. Should the weapons of a tyrant be used to preserve and expand his dictatorial circle of power, then their use aims at the legitimate right to life and freedom of those living there. He increases the oppression. And he can never appeal to a right of resistance because the usage of these means is without the inner agreement of the people, which comprises the essence of legitimacy. Should weapons, on the other hand, serve a democratic, pluralistic society, at the top of which resides a freely elected, replaceable, democratically legitimized government, then these weapons serve as the means of a morally permissible resistance against the threats of a violent dictatorship. Their use falls under the category of self-defense and the defense of others. The soldiers of the Western defense alliances and the U.S. can appeal to the moral right of resistance. They stand in the same ranks, historically speaking, as the men with Oberst Graf Stauffenberg of July 20, 1944 and the American soldiers of the invasion of Normandy. These men raised their weapons against the armies of political terror, against the inhumanity of a fanatical dictatorship, and the oppression of people by people which is the source of war. They fought for a peaceful, pluralistic, and democratic Europe with freedom of conviction and freedom of belief as well as the conciliatory togetherness of all peoples of the continent. People who call out for freedom today, for example, in Kyrgyzstan, Belarus, Lebanon or Iran, can appeal to the right of resistance against dictators. The active advocacy of freedom has precedence above the preservation of the state for the simple reason that the state cannot be allowed to become an end in itself. Evangelicals - No Longer a Political Force in the USA?